Deb Baker is the Woodwind Tech Assistant for the CSU-Pueblo ThunderWolves' Marching Band. She is also the Director of Bands and the Fine Arts Director at Colorado Springs Christian School. In addition to her activities as a music educator, she has been the director of the Fountain Creek Brass Band since 2002. Ms. Baker and the FCBB have appeared as annual guest performers at the CSU-Pueblo Festival of Winds, where the band's unique instrumentation and spectacular playing have delighted scores of festival-goers. 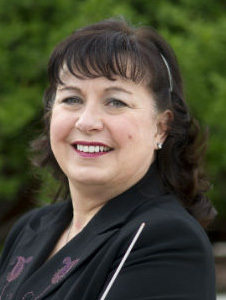 Debbie earned her Bachelor of Science in Music Education and Masters in Music degrees from Kansas State University, and is a member of the American School Band Directors Association, Colorado Music Educators Association, Music Educators National Conference, Tau Beta Sigma, Kappa Kappa Psi, and Phi Beta Mu. She also serves regularly as a clinician and adjudicator for state and regional music contest and workshop events.